For the ancient people, see Israelites. For other uses, see Israeli (disambiguation). Israelis (Hebrew: ישראלים Yiśraʾelim, Arabic: الإسرائيليين‎ al-ʾIsrāʾīliyyin) are the citizens or permanent residents of the State of Israel, a multiethnic state populated by people of different ethnic backgrounds. The largest ethnic groups in Israel are Jews (75%), followed by Arabs (20%) and other minorities (5%). Among the Israeli Jewish population, hundreds of thousands of Jews born in Israel are descended from Ashkenazi Jew, Mizrahi Jews, Sephardi Jews and an array of groups from all the Jewish ethnic divisions, though over 50% of Israel’s Jewish population is of at least partial Mizrahi descent. Large-scale Jewish immigration in the late 19th and early 20th centuries from Jewish diaspora communities in Europe and the Middle East and more recent large-scale immigration from North Africa, Western Asia, North America, South America, the former Soviet Union and Ethiopia introduced many new cultural elements and have had profound impact on the Israeli culture. Israelis and people of Israeli descent live across the world: in the United States, Russia (with Moscow housing the single largest community outside Israel), India, Canada, the United Kingdom, throughout Europe, and elsewhere. Almost 10% of the general population of Israel is estimated to be living abroad. As of 2013, Israel's population is 8 million, of which the Israeli civil government records 75.3% as Jews, 20.7% as non-Jewish Arabs, and 4.0% other. Israel's official census includes Israeli settlers in the occupied territories (referred to as "disputed" by Israel). 280,000 Israeli settlers live in settlements in the Judea and Samaria Area, 190,000 in East Jerusalem, and 20,000 in the Golan Heights. Among Jews, 70.3% were born in Israel (sabras), mostly from the second or third generation of their family in the country, and the rest are Jewish immigrants. Of the Jewish immigrants, 20.5% were from Europe and the Americas, and 9.2% were from Asia, Africa, and Middle Eastern countries. Nearly half of all Israeli Jews are descended from immigrants from the European Jewish diaspora. Approximately the same number are descended from immigrants from Arab countries, Iran, Turkey and Central Asia. Over 200,000 are of Ethiopian and Indian-Jewish descent. The official Israel Central Bureau of Statistics estimate of the Israeli Jewish population does not include those Israeli citizens, mostly descended from immigrants from the Soviet Union, who are registered as "others", or their immediate family members. Defined as non-Jews and non-Arabs, they make up about 3.5% of Israelis (350,000), and were eligible for Israeli citizenship under the Law of Return. Israel's two official languages are Hebrew and Arabic. Hebrew is the primary language of government and is spoken by the majority of the population. Arabic is spoken by the Arab minority and by some members of the Mizrahi Jewish community. English is studied in school and is spoken by the majority of the population as a second language. Other languages spoken in Israel include Russian, Yiddish, Spanish, Ladino, Amharic, Armenian, Romanian, and French. In recent decades, between 650,000 and 1,300,000 Israelis have emigrated, a phenomenon known in Hebrew as yerida ("descent", in contrast to aliyah, which means "ascent"). Emigrants have various reasons for leaving, but there is generally a combination of economic and political concerns. Los Angeles is home to the largest community of Israelis outside Israel. The CBS traces the paternal country of origin of Israeli Jews as of 2010 is as follows. A fraction of Palestinians remained within Israel's borders following the 1948 Palestinian exodus and are the largest group of Arabic-speaking and culturally Arab citizens of Israel. The vast majority of the Arab citizens of Israel are Sunni Muslim, while 9% of them are Christian. As of 2013, the Arab population of Israel amounts to 1,658,000, about 20.7% of the population. This figure include 209,000 Arabs (14% of the Israeli Arab population) in East Jerusalem, also counted in the Palestinian statistics, although 98 percent of East Jerusalem Palestinians have either Israeli residency or Israeli citizenship. The Arab citizens of Israel also include the Bedouin. Israeli Bedouin include those who live in the north of the country, for the most part in villages and towns, and the Bedouin in the Negev, who are semi-nomadic or live in towns or unrecognized Bedouin villages. In 1999, 110,000 Bedouin lived in the Negev, 50,000 in the Galilee and 10,000 in the central region of Israel. As of 2013, the Negev Bedouin number 200,000-210,000. There is also a significant population of Israeli Druze, estimated at about 117,500 at the end of 2006. All Druze in British Mandate Palestine became Israeli citizens upon the foundation of the State of Israel. There are about 7,000 Maronite Christian Israelis, living mostly in the Galilee but also in Haifa, Nazareth, and Jerusalem. They are mostly pro-Israeli Lebanese former militia members and their families who fled Lebanon after the 2000 withdrawal of IDF from South Lebanon. Some, however, are from local Galilean communities such as Jish. There are about 1,000 Coptic Israeli citizens. In September 2014, Israel recognized the "Aramean" ethnic identity of hundreds of the Christian citizens of Israel. This recognition comes after about seven years of activity by the Aramean Christian Foundation in Israel – Aram, led by IDF Major Shadi Khalloul Risho and the Israeli Christian Recruitment Forum, headed by Father Gabriel Naddaf of the Greek-Orthodox Church and Major Ihab Shlayan. The Aramean ethnic identity will now encompass all the Christian Eastern Syriac churches in Israel, including the Maronite Church, Greek Orthodox Church, Greek Catholic Church, Syriac Catholic Church and Syriac Orthodox Church. There are about 4,000-10,000 Armenian citizens of Israel (not including Armenian Jews). They live mostly in Jerusalem, including the Armenian Quarter), but also in Tel Aviv, Haifa and Jaffa. Their religious activities center around the Armenian Patriarchate of Jerusalem as well as churches in Jerusalem, Haifa and Jaffa. Although Armenians of Old Jerusalem have Israeli identity cards, they are officially holders of Jordanian passports. There are around 1,000 Assyrians living in Israel, mostly in Jerusalem and Nazareth. Assyrians are an Aramaic speaking, Eastern Rite Christian minority who are descended from the ancient Mesopotamians. The old Syriac Orthodox monastery of Saint Mark lies in Jerusalem. Other than followers of the Syriac Orthodox Church, there are also followers of the Assyrian Church of the East and the Chaldean Catholic Church living in Israel. In Israel, there are also a few thousand Circassians, living mostly in Kfar Kama (2,000) and Reyhaniye (1,000). These two villages were a part of a greater group of Circassian villages around the Golan Heights. The Circassians in Israel enjoy, like Druzes, a status aparte. Male Circassians (at their leader's request) are mandated for military service, while females are not. The Samaritans are an ethnoreligious group of the Levant. Ancestrally, they are descended from a group of Israelite inhabitants who have connections to ancient Samaria from the beginning of the Babylonian captivity up to the beginning of the Common Era. Population estimates made in 2007 show that of the 712 Samaritans, half live in Holon in Israel and half at Mount Gerizim in the West Bank. The Holon community holds Israeli citizenship, while the Gerizim community resides at an Israeli-controlled enclave (Kiryat Luza), holding dual Israeli-Palestinian citizenship. The African Hebrew Israelite Nation of Jerusalem is a small religious community whose members believe they are descended from the Ten Lost Tribes of Israel. Most of the over 5,000 members live in Dimona, Israel although there are additional, smaller, groups in Arad, Mitzpe Ramon, and the Tiberias area. At least some of them consider themselves to be Jewish, but Israeli authorities do not accept them as such, nor are their religious practices consistent with "mainstream Jewish tradition." The group, which consists of African Americans and their descendants, originated in Chicago in the early 1960s, moved to Liberia for a few years, and then immigrated to Israel. 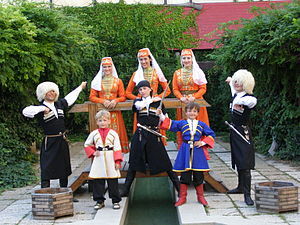 A number of immigrants also belong to various non-Slavic ethnic groups from the Former Soviet Union such as Tatars, Armenians, and Georgians. Non-Jewish immigrants from the former Soviet Union most of whom are Zera Yisrael (descendants of Jews) who are Russians, Ukrainians, Moldovans and Belarusians, who were eligible to immigrate due to having, or being married to somebody who has, at least one Jewish grandparent. In addition, a certain number of former Soviet citizens, primarily women of Russian and Ukrainian ethnicity, immigrated to Israel after marrying Arab citizens of Israel who went to study in the former Soviet Union in the 1970s and 1980s. The total number of those primarily of Slavic ancestry among Israeli citizens is around 300,000. Although most Finns in Israel are either Finnish Jews or their descendents, a small number of Finnish Christians moved to Israel in the 1940s before the independence of the state and have since gained citizenship. For the most part the original Finnish settlers intermarried with other Israeli communities, and therefore remain very small in number. 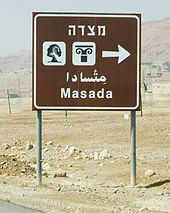 A moshav near Jerusalem named "Yad HaShmona", meaning the Memorial for the eight, was established in 1971 by a group of Finnish Christian Israelis, though today most members are Israeli, and predominantly Hebrew-speaking. The number of Vietnamese people in Israel is estimated at 200–400. Most of them came to Israel between 1976 and 1979, after the Israeli Prime Minister Menachem Begin granted them political asylum. The Vietnamese people living in Israel are Israeli citizens who also serve in the Israel Defense Forces. Today, the majority of the community lives in the Gush Dan area in the center of Israel but also a few dozen Vietnamese-Israelis or Israelis of Vietnamese origin live in Haifa, Jerusalem and Ofakim. The number and status of African refugees in Israel is disputed and controversial, but it is estimated that at least 16,000 refugees, mainly from Eritrea, Sudan, South Sudan, Ethiopia and the Ivory Coast, reside and work in Israel. A check in late 2011, published in Ynet reported that the number just in Tel Aviv is 40,000, which represents 10 percent of the city's population. The vast majority lives in the southern parts of the city. There is also a significant African population in the southern Israeli cities of Eilat, Arad and Beer Sheva. Approximately 100–200 refugees from Bosnia, Kosovo, Kurdistan and North Korea live in Israel as refugees, most of them with Israeli resident status. Through the years, the majority of Israelis who emigrated from Israel went to the United States, Canada and the United Kingdom. It is currently estimated that there are 330,000 native-born Israelis, including 230,000 Jews, living abroad, or even more. The number of immigrants to Israel who later returned to their home countries or moved elsewhere is more difficult to calculate. For many years definitive data on Israeli emigration was unavailable. In The Israeli Diaspora sociologist Stephen J. Gold maintains that calculation of Jewish emigration has been a contentious issue, explaining, "Since Zionism, the philosophy that underlies the existence of the Jewish state, calls for return home of the world's Jews, the opposite movement - Israelis leaving the Jewish state to reside elsewhere - clearly presents an ideological and demographic problem." Among the most common reasons for emigration of Israelis from Israel are most often due to Israel's ongoing security issues, economic constraints, economic characteristics, disappointment in the Israeli government, as well as the excessive role of religion in the lives of Israelis. Many Israelis immigrated to the United States throughout the period of the declaration of the state of Israel and until today. Today, the descendants of these people are known as Israeli-Americans. According to the 2000 United States Census, 106,839 Americans also hold Israeli citizenship, but the number of Americans of Israeli descent is around half a million. Many Israelis immigrated to Canada throughout the period of the declaration of the state of Israel and until today. Today, the descendants of these people are known as Israeli-Canadians. According to the Canada 2006 Census as many as 21,320 Israelis lived in Canada in 2006. Many Israelis immigrated to the United Kingdom throughout and since the period of the declaration of the state of Israel. Today, the descendants of these people are known as Israeli-British. According to the United Kingdom 2001 Census, as many as 11,892 Israelis lived in the United Kingdom in 2001. The majority live in London. In 2013 a three-judge panel of the Supreme Court of Israel's headed by Court President Asher Grunis rejected an appeal requesting that state-issued identification cards state the nationality of citizens as "Israeli" rather than their religion of origin. In his opinion, Grunis stated that it was not within the court’s purview to determine new categories of ethnicity or nationhood. The court's decision responded to a petition by Uzzi Ornan, who refused to be identified as Jewish in 1948 at the foundation of the state of Israel, claiming instead that he was "Hebrew." This was permitted by Israeli authorities at the time. However, by 2000, Ornan wanted to register his nationality as "Israeli". The Interior Ministry refused to allow this, prompting Ornan to file a suit. In 2007, Ornan's suit was joined by former minister Shulamit Aloni and other activists. In the ruling, Justice Hanan Melcer noted Israel currently considers "citizenship and nationality [to be] separate." The term "Israelite" refers to members of the Jewish tribes and polities of the Iron Age known from the Hebrew Bible and extra-biblical historical and archaeological sources. The term "Israeli", by contrast, refers to the citizens of the modern State of Israel, regardless of them being Jewish, Arabs, or of any other ethnicity. The modern State of Israel revived an old name known from the Hebrew Bible and from historical sources, that of the Iron Age Kingdom of Israel. The Bible differentiates between a period of tribal rule among the "children of Israel"; a Kingdom of Israel uniting all twelve biblical Israelite tribes, with the common capital known as the City of David (Jerusalem); and a period in which the northern tribes split away to form an independent Kingdom of Israel, while the southern tribes became part of the Kingdom of Judah. Archaeological research only partially agrees with the biblical narrative. According to the biblical account, the United Monarchy was formed when there was a large popular expression in favour of introducing a monarchy to rule over the previously decentralised Israelite tribal confederacy. Increasing pressure from the Philistines and other neighboring tribes is said by the Bible to have forced the Israelites to unite as a more singular state. The northern Kingdom of Israel was destroyed in ca. 720 BCE by the Neo-Assyrian Empire and its population was forcibly restructured through imperial policy. The southern Kingdom of Judah was conquered by the Neo-Babylonian Empire (586 BCE), inherited by the Achaemenid Empire, conquered by Alexander the Great (332 BCE), ruled by the resulting Hellenistic empires, from which it regained authonomy and eventually independence under the Hasmoneans, conquered by the Roman Republic in 63 BCE, ruled by the client kings of the Herodian dynasty, and finally transformed into a Roman province during the first century CE. Two Jewish revolts, the second one ending in 135 CE, led to the large-scale decimation of the Jewish population in Judea and the end of any type of Jewish territorial self-rule in the Land of Israel or Palestine, as it then came to be known, for many centuries to come. Palestine was part of the Ottoman Empire from 1516 until it was taken by British forces in 1918. The British establishment of colonial political boundaries allowed the Jews to develop autonomous institutions such as the Histadrut and the Knesset. Since the late nineteenth century, the Zionist movement encouraged Jews to immigrate to Palestine and refurbish its land area, considerable but partially uninhabitable due to an abundance of swamps and desert. 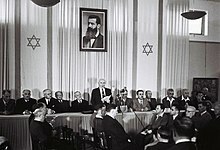 The resulting influx of Jewish immigrants, as well as the creation of many new settlements, was crucial for the functioning of these new institutions in what would, on 14 May 1948, become the State of Israel. The largest cities in the country Haifa, Tel Aviv, and Jerusalem are also the major cultural centers, known for art museums, and many towns and kibbutzim have smaller high-quality museums. Israeli music is very versatile and combines elements of both western and eastern, religious and secular music. It tends to be very eclectic and contains a wide variety of influences from the Diaspora and more modern cultural importation: Hassidic songs, Asian and Arab pop, especially by Yemenite singers, and Israeli hip hop or heavy metal. Folk dancing, which draws upon the cultural heritage of many immigrant groups, is popular. There is also flourishing modern dance. According to the Israel Central Bureau of Statistics, at the end of 2014, 75% of Israelis were Jewish by religion (adherents of Judaism), 17.5% were Muslims, 2% Christian, 1.6% Druze and the remaining 3.9% (including immigrants) were not classified by religion. Roughly 12% of Israeli Jews defined as haredim (ultra-orthodox religious); an additional 9% are "religious"; 35% consider themselves "traditionalists" (not strictly adhering to Jewish religious law); and 43% are "secular" (termed "hiloni"). Among the seculars, 53% believe in God. However, 78% of all Israelis (and virtually all Israeli Jews) participate in a Passover seder. Unlike North American Jews, Israelis tend not to align themselves with a movement of Judaism (such as Reform Judaism or Conservative Judaism) but instead tend to define their religious affiliation by degree of their religious practice. Israeli religious life, unlike much of North American Jewish life, does not solely revolve around synagogues or religious community centers. Among Arab Israelis, 82.6% were Muslim (including Ahmadis), 8.8% were Christian and 8.4% were Druze. The Bahá'í World Centre, which includes the Universal House of Justice, in Haifa attracts Baha'i pilgrims from all over the world. Due to its immigrant nature, Israel is one of the most multicultural and multilingual societies in the world. Hebrew and Arabic are the official languages in the country, while English and Russian are the two most widely spoken non-official languages. Yiddish (2%) and French (2%) are also spoken. A certain degree of English is spoken widely, and is the language of choice for many Israeli businesses. Courses of Hebrew and English are mandatory in the Israeli matriculation exams (bagrut), and most schools also offer one or more out of Arabic, Spanish, German or French. The Israeli government also offers free intensive Hebrew-language courses, known as ulpanim (singular ulpan), for new Jewish immigrants, to try to help them integrate into Israeli society. ^ a b "Israeli Americans - History, Modern era, Significant immigration waves, Settlement patterns". Everyculture.com. Retrieved 3 October 2013. ^ a b PINI HERMAN (25 April 2012). "Rumors of mass Israeli emigration are much exaggerated". Jewish Journal. Retrieved 3 October 2013. ^ A. Craig Copetas (19 December 2007). "Karma Kosher Conscripts in New-Age Diaspora Seek Refuge in Goa". Bloomberg.com. Retrieved 3 October 2013. ^ a b "Israelis in London prefer their own". Archived from the original on 8 June 2011. Retrieved 23 December 2008. ^ HAVIV RETTIG GUR (6 April 2008). "Officials to US to bring Israelis home". Jpost. Retrieved 19 October 2013. ^ "Country-of-birth database". Organisation for Economic Co-operation and Development. Archived from the original on 17 June 2009. Retrieved 23 December 2008. ^ Dan Goldberg (3 July 2012). "Jews Down Under are on the rise, but for how long?". Haaretz. Retrieved 24 October 2013. ^ Hagin, Adi (16 September 2011). "Why are Israelis moving to Germany?". Haaretz. Retrieved 18 March 2013. ^ Assaf Uni (3 September 2012). 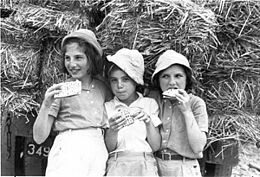 "Israelis in Berlin buying their strudel with welfare". Times of Israel. Retrieved 18 March 2013. ^ Doron Halutz (21 January 2011). "Unkosher Nightlife and Holocaust Humor: Israelis Learn to Love the New Berlin". Spiegel Online. Retrieved 18 March 2013. ^ "Statistical Abstract of Israel 2015". ^ Eric, Gold; Moav, Omer (2006), Brain Drain From Israel (Brichat Mochot M'Yisrael) (in Hebrew), Jerusalem: Mercaz Shalem - The Shalem Center, The Social-Economic Institute, p. 26 . ^ a b c "Palestinians shun Israeli settlement restriction plan". BBC. 25 November 2009. Retrieved 23 December 2010. ^ United Nations (1 October 2007). Yearbook of the United Nations 2005. United Nations Publications. p. 524. ISBN 978-92-1-100967-5. ^ Yoram Ettinger (5 April 2013). "Defying demographic projections". Israel Hayom. Retrieved 29 October 2013. ^ "Jewish Demographic Policies" (PDF). The Jewish People Policy Institute. 2011. ^ "Israel (people)". Encyclopedia.com. 2007. ^ "Language." Frommer's. 8 March 2016. ^ "Selected Statistics on Jerusalem Day 2007 (Hebrew)". Israel Central Bureau of Statistics. 14 May 2007. ^ "Arrests at protest over Israel's Bedouin plan". Al Jazeera English. 1 December 2013. Retrieved 9 February 2014. ^ "Behind the Headlines: The Bedouin in the Negev and the Begin Plan". Israeli Ministry of Foreign Affairs. 4 November 2013. Retrieved 9 February 2014. ^ Table 2.2 Archived 28 January 2012 at the Wayback Machine, Statistical Abstract of Israel 2007, No. 58. ^ Joyce M. Davis. Jerusalem’s Armenian Quarter. Catholic Near East Welfare Association. ^ Martina Könighofer (2008). The New Ship of Zion: Dynamic Diaspora Dimensions of the African Hebrew Israelites of Jerusalem. LIT Verlag Münster. p. 12. ISBN 978-3-8258-1055-9. The African Hebrew Israelites do not practice Judaism according to mainstream Jewish tradition and have not been accepted as Jews by the Israeli authorities. ^ "Front page Current Affairs Embassy Honorary Consulates Services Team Finland Finland in Israel History Finnish associations About Finland Links Feedback Contact Front page > Finland in Israel > Finnish associations Finnish Associations". Ministry for Foreign Affairs of Finland. Retrieved 25 January 2014. ^ Landers, Ann (7 February 1997). "Readers Recall Heroic War Efforts". NYT. Retrieved 25 January 2014. ^ Eichner, Itamar. "North Korean couple gets refugee status in Israel". Ynet. Retrieved 25 January 2014. ^ "4. MIGRATION FROM ISRAEL" (PDF). JPPI. Retrieved 25 January 2014. ^ "Supreme Court rules against 'Israeli' ethnicity on ID". Times of Israel. Retrieved 25 January 2014. ^ "High court rules: It is impossible to be Israeli". Retrieved 25 January 2014. ^ "Population by Religion". Central Bureau of Statistics. 9 October 2015. Archived from the original on 13 November 2015. Retrieved 31 December 2015. ^ Ori Stendel. The Arabs in Israel. Sussex Academic Press. p. 45. ISBN 1898723249. Retrieved 4 March 2014. ^ Central Bureau of Statistics, Government of Israel. "Population, by religion and population group" (PDF). Archived from the original (PDF) on 10 April 2006. Retrieved 8 April 2006. ^ "The Bahá'í World Centre: Focal Point for a Global Community". The Bahá'í International Community. Archived from the original on 29 June 2007. Retrieved 2 July 2007. ^ Druckman, Yaron. "CBS: 27% of Israelis struggle with Hebrew". Ynet. Retrieved 24 January 2014.